Convenient Controls: Infinite speed control maintains desired airflow of up to 550 CFM*** / 130mph for convenience and ease of operation. Anti-Tip Base: Stable anti-tip base design provides stability when placed on a level surface such to prevent tip overs. Operator Comfort: Comfortable, ergonomic rubber handle and touchpoints, including easy push button starting with indicator light to let you know the blower is powered on. 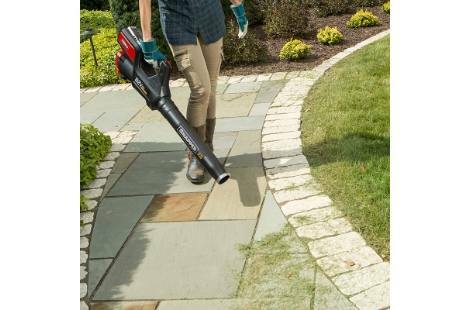 Brushless Motor Technology: A long life, 750-watt high-efficiency brushless motor provides the power and reliability you need for trimming around your yard for years to come. 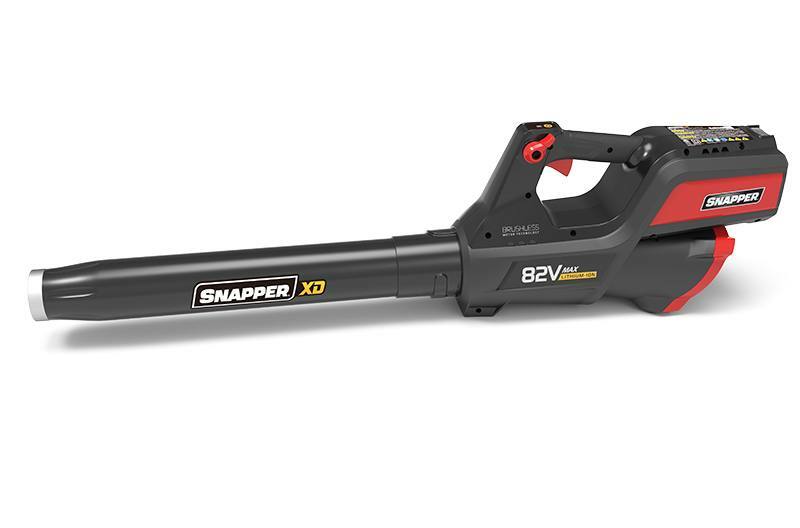 Tube Bump/Scrape Protection: Metal tube end ring cushions blower tube from bumps and scrapes on the driveway or sidewalk. * Maximum initial battery voltage (measured without a workload) is 82-volts. Nominal voltage is 72. ** Run time and output capacity may be affected by conditions. *** Taken at handle output. ^ Suggested prices will vary by market. Prices are shown in U.S. and Canadian dollars. Set-up, delivery, documentation and destination fees not included. See dealer for details. Features vary by model. We reserve the right to change specifications, features and pricing without notice. † See operator's manual or dealer for complete warranty details. Commercial warranty valid on product only, battery warranty valid for residential consumer use only. Features may vary by model. We reserve the right to change specifications, features and pricing without notice.